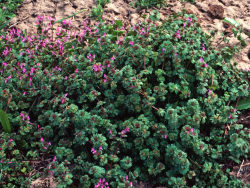 Henbit is a winter annual that’s in the mint family, revealed by its square stems. Like mint, this weed spreads and roots along its stems. Purple to pink blooms appear at the top of stems above deep green scalloped leaves. 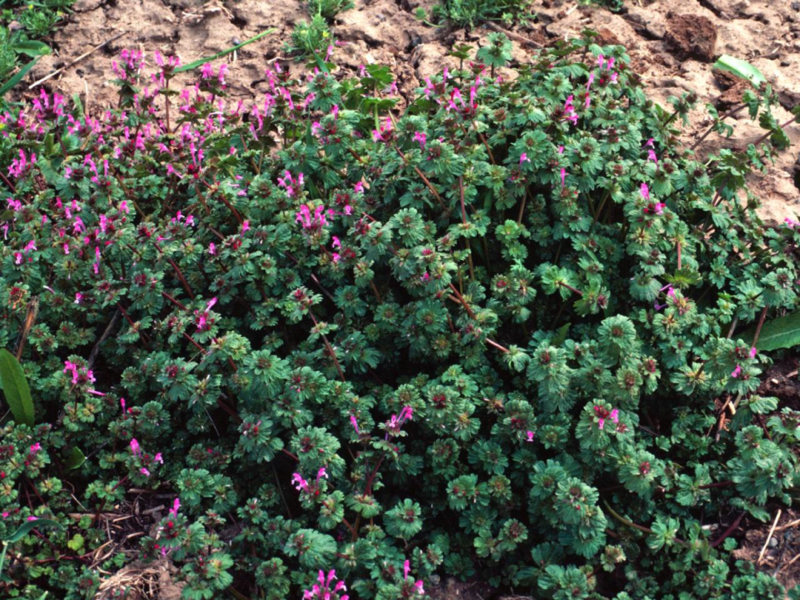 Henbit isn’t picky about sunlight, growing in sun and part shade. Its arrival signals that soil is rich. Plants are usually easy to hand-pull. If you have a heavy infestation, use a post-emergent herbicide, following label directions. Henbit seeds germinate in fall. Apply a pre-emergent herbicide to interrupt germination. 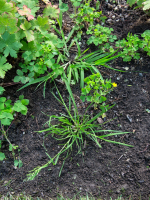 Crabgrass gets it name from the leaves, which form a tight, crab-like circle. 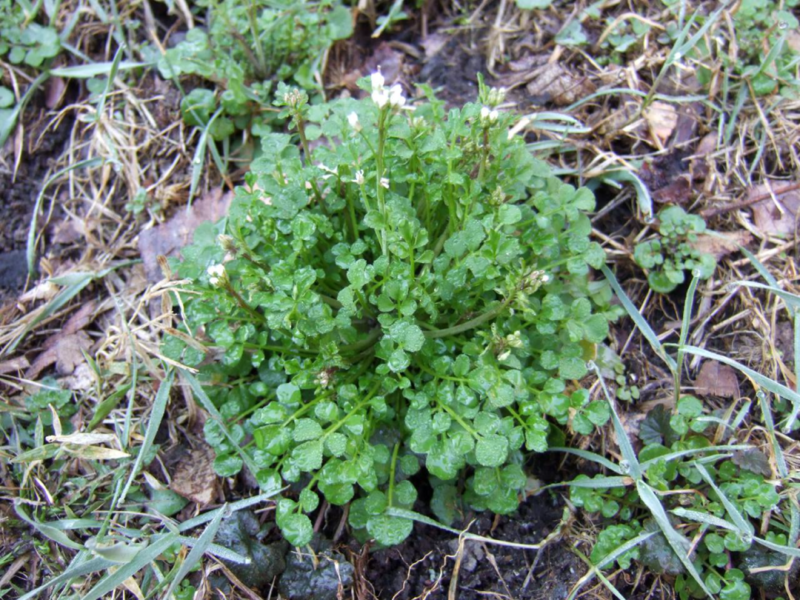 This annual weed tends to appear in weak or bare areas of a lawn. Both over and under watering favor its growth, as does consistently mowing the lawn too short. 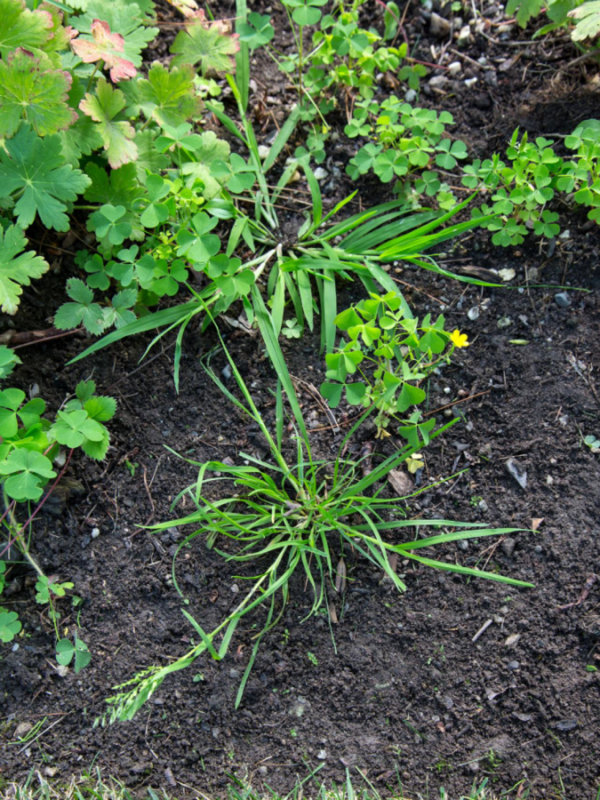 Treat crabgrass in spring with a pre-emergence herbicide to keep seeds from sprouting. Timing is tricky. In regions with forsythia, aim to get the herbicide down as forsythia starts to bloom. Check with your local extension office or a reputable garden center to fine-tune timing in your region. Chickweed is an annual weed that prefers shady, moist soil with higher fertility, although its seeds will sprout in dry soil. 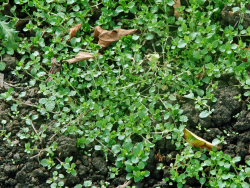 Typically, chickweed appears in lawns that are thin and experience poor drainage. 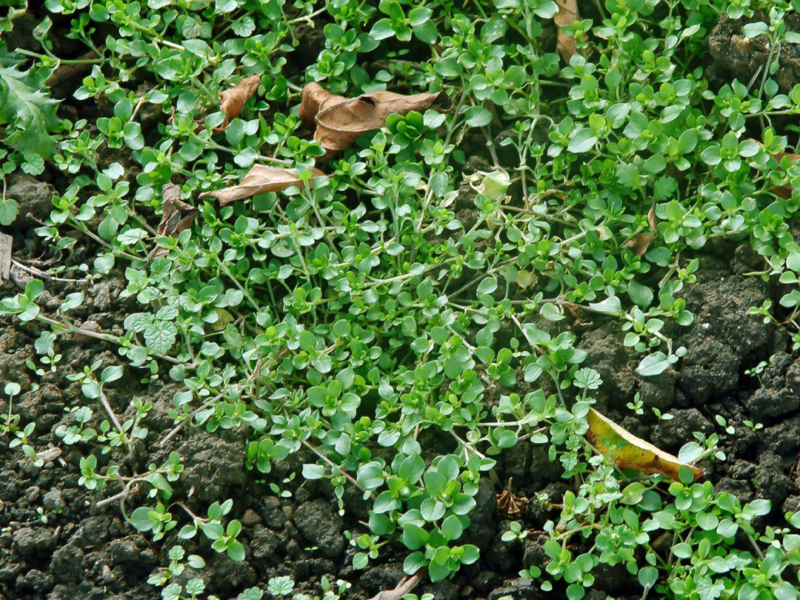 The easiest way to control chickweed is to pull individual plants. If you know you have a heavy infestation, you can use a pre-emergent herbicide in early spring and fall to prevent seeds from germinating. Another trick to kill chickweed is to step on stems to crush them slightly, and then sprinkle some lawn fertilizer over the broken plants. The nitrogen kills the plants. 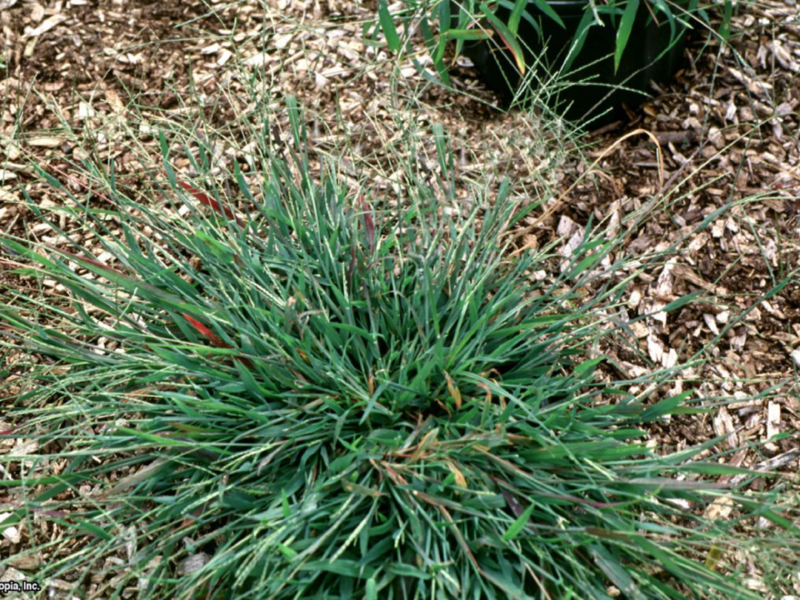 Nearby grass tips may show signs of fertilizer burn, but they’ll recover. Common purslane is a summer annual weed with two root systems: a taproot and fibrous roots that form along sprawling stems. Plants spread by seeds or stem fragments that can root and establish in soil. 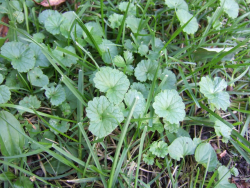 This weed appears in thin lawns that aren’t well-watered. 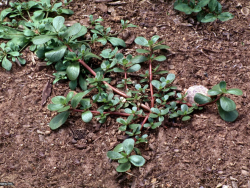 Purslane tends to take over in newly seeded lawns. 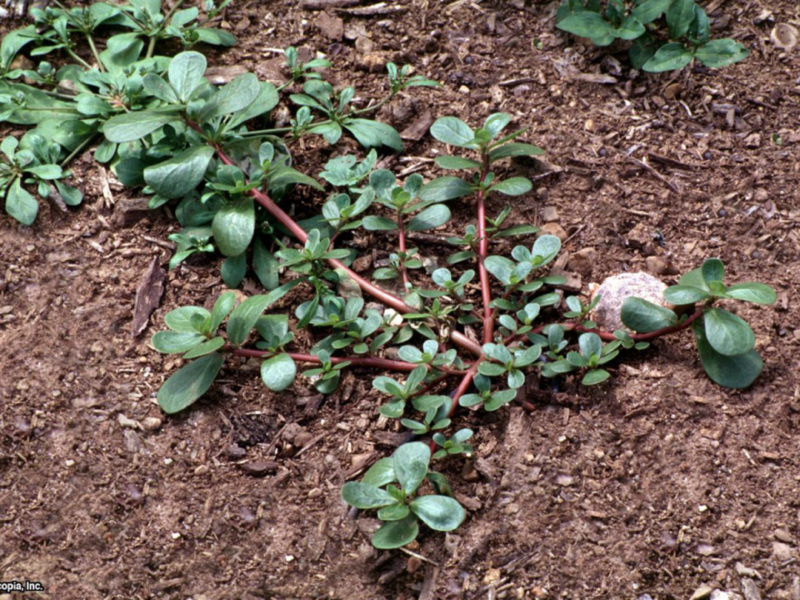 Avoid spring seeding for cool-season grasses, and you’ll skip many problems with purslane. When hand-pulling this weed, take care to gather all stem fragments. 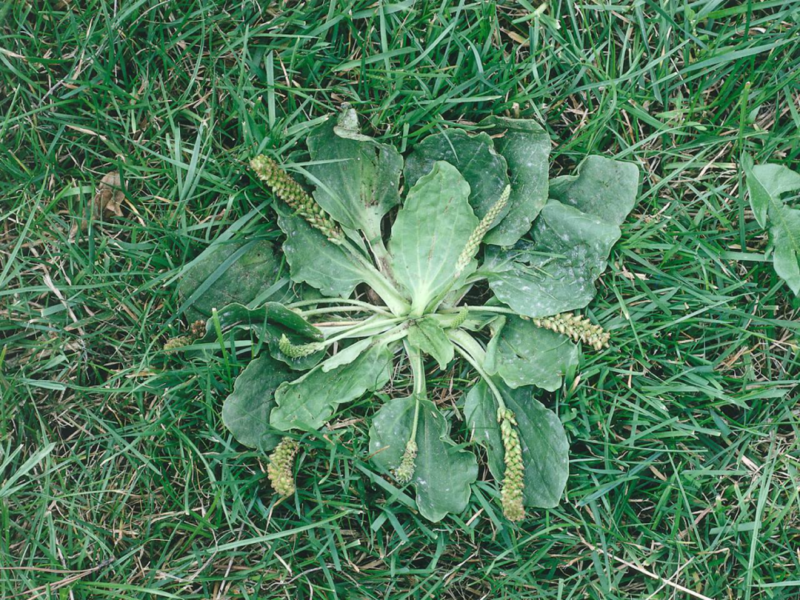 Broadleaf plantain is a perennial weed that tends to appear in poor, thin lawns with compacted soil. It’s quite drought tolerant, but thrives in overwatered soil. Plants can grow in shady or sunny conditions. Hand-pulling is probably the best option to control broadleaf plantain. A post-emergent, broadleaf herbicide provides effective kill on large populations. Improve soil by aerating and adding compost before trying to establish a lawn. 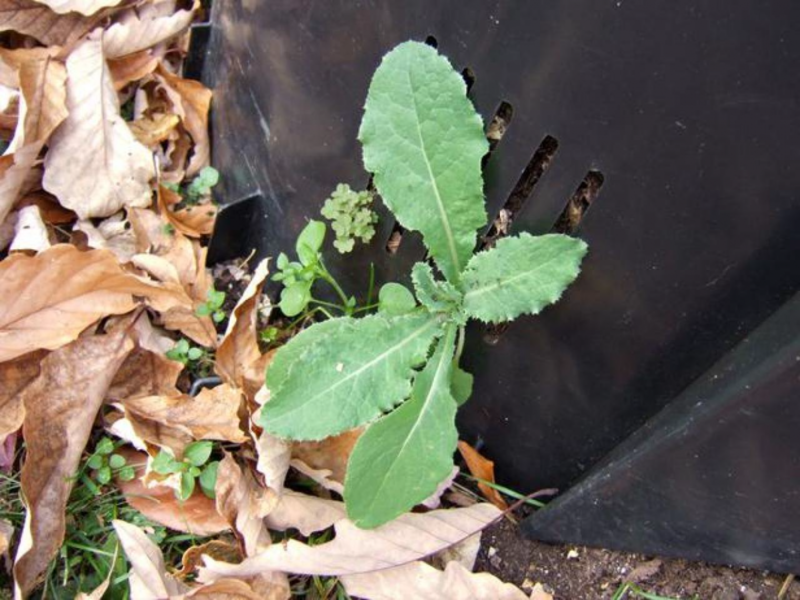 Prickly lettuce is an annual weed that thrives in cool seasons of the year. It’s a winter weed in southern regions. Plants typically appear in disturbed soil, but they’ll also invade thin lawns with irrigated, nutrient-rich soil. Leaves have prickles along their undersides, and plants can be uncomfortable for bare feet. Prickly lettuce spreads by wind-borne seeds, much like a dandelion. Long tap roots make hand-pulling a challenge. Spot spray individual plants using a post-emergent broadleaf herbicide. Seedlings die quickly from herbicide applications. A healthy, well-maintained lawn is the best defense against prickly lettuce. Violets are perennial weeds that appear where lawns are thin due to shady conditions. This pretty purple bloomer also opens flowers in shades of white and lavender. Don’t be fooled by this weed’s demure appearance. 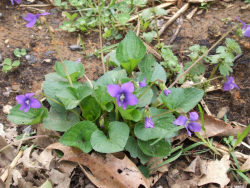 Violets can quickly take over a shady, thin lawn and are very difficult to eradicate. Treating with a post-emergent, broadleaf herbicide kills plants, but be sure to follow label instructions carefully regarding application rates and follow-up sprays. 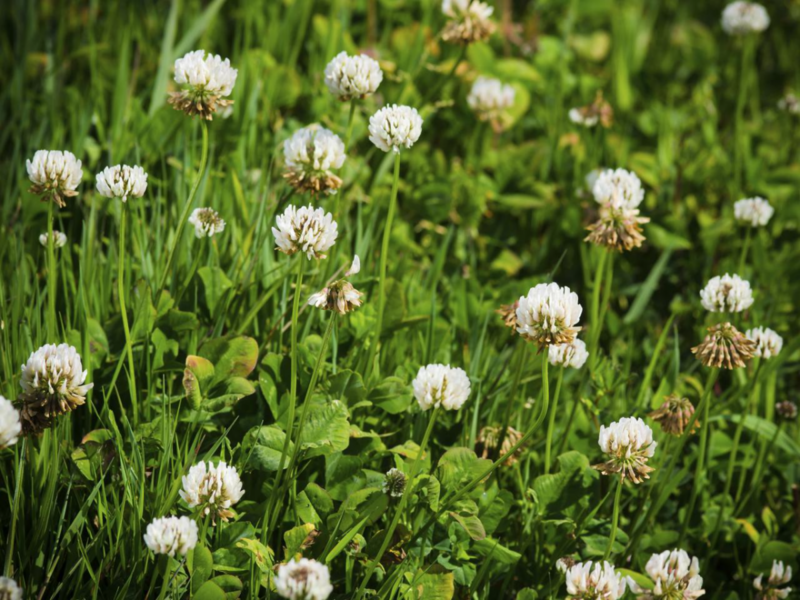 White or Dutch clover used to be a common ingredient in lawn seed blends. 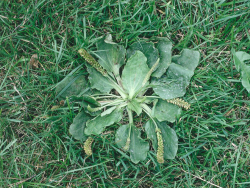 These days, this perennial weed is regarded as a bad guy in most lawns. It tends to grow where soil is poor and low in nitrogen. Hand dig small patches, and apply fertilizer to those areas. Many times, bringing up soil fertility can help eradicate white clover. Apply a broadleaf herbicide according to label instructions. You’ll typically need to make several seasonal applications in both spring and fall to eradicate this weed. Oxalis or yellow wood sorrel is a perennial weed that spreads by creeping stems and seeds. 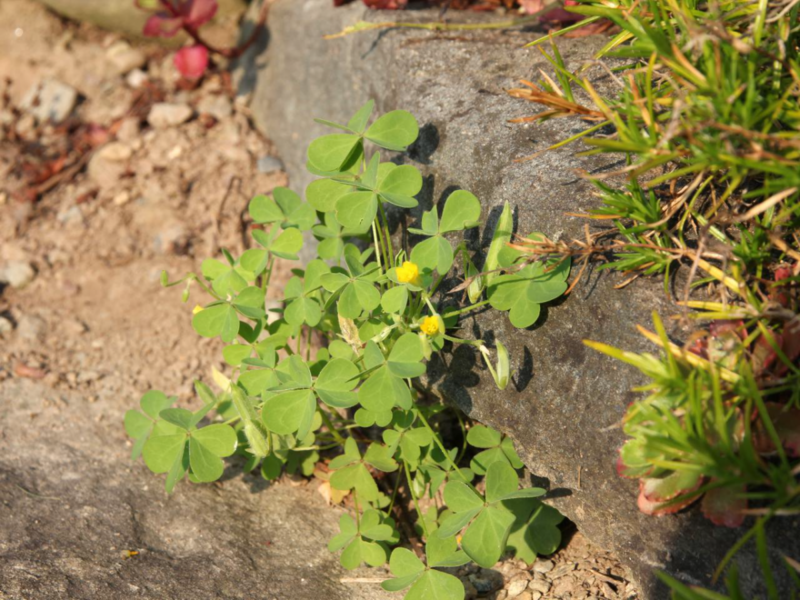 Leaves resemble clover; yellow flowers appear atop foliage. This weed takes off in dry, open spots. 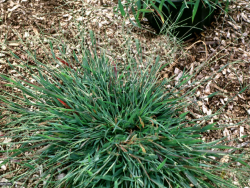 You’ll often see it spreading through gravel mulch, but it also finds happy footing in moist, well-fed lawns. This is a tough weed to beat, especially in warmer regions. Hand-pull a few plants and spot treat small patches using broadleaf herbicide. Follow instructions carefully regarding subsequent sprays. Dandelion is a familiar face in spring and fall lawns. These perennial weeds grow long taproots. The best control is to dig them by hand, but be sure to get at least 2 inches of the taproot, or the root will resprout, yielding two plants. 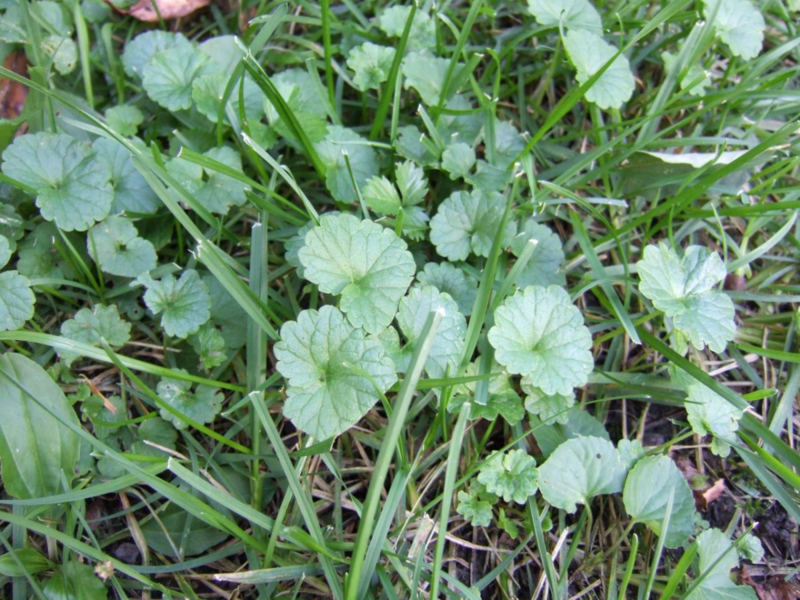 A thick, healthy lawn is your best defense against this weed’s wind-borne seeds taking root. 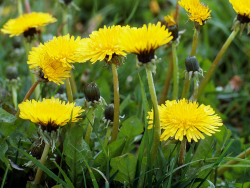 Spot-spray dandelions with a post-emergence herbicide that doesn’t kill grass. Treating mature plants in fall sends herbicide directly to roots. If you can’t treat plants, at least gather blooms before they set seed. 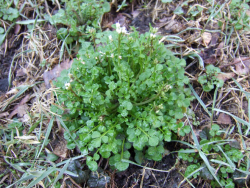 Hairy bittercress is a winter annual in warm regions and a summer annual in cooler zones. Plants appear where soil is overly moist. Leaves form a tuft along the ground, and white flowers appear on stalks that stand well above leaves. Flowers fade to form elongated seed capsules that spew seeds quite far. Hand-pull a few plants. If you have a serious infestation, apply a post-emergent broadleaf herbicide when plants are young. Ground ivy, also known as creeping Charlie, prefers shady, moist areas of a lawn with low fertility, but also grows in sunny areas. Stems spread over the ground like ivy, rooting at leaf nodes (where leaves attach to the stem). This aggressive perennial weed is tough to beat. Use a post-emergent herbicide to spray plants. Follow package directions carefully for treating creeping Charlie. Be sure to apply subsequent applications as required. When you kill off creeping Charlie, establish grass quickly to prevent the weed from returning. As the name suggests, annual bluegrass is an annual weed. The grass blends well with fescue lawns, but stands out in other turf. It tends to appear where soil drains poorly, overwatering is occurring and the lawn is scalped. The seeds typically germinate in late summer, so a pre-emergent herbicide application then can prevent seed germination. When plants set seed, use a grass catcher on your mower to catch seedheads. Consider aerating and adding compost to improve soil drainage.